Whether they like it or not, celebrities are role models for many impressionable young people. We love to see how they dress, who and where they hang out and what they do in real life when they're not up on the big screen. They're larger than life, so we may even be surprised to see them do "normal" things, like taking their dog for a walk. But when they do something that's no longer cool -- like smoking -- they completely lose me. Frankly, they disappoint me. A lot. I thought they were supposed to be trend-setters. Since when is smoking cigarettes a new trend? I have a lot more respect for celebrities like Katherine Heigl, who went on David Letterman back in 2007 with her e-cigarette. 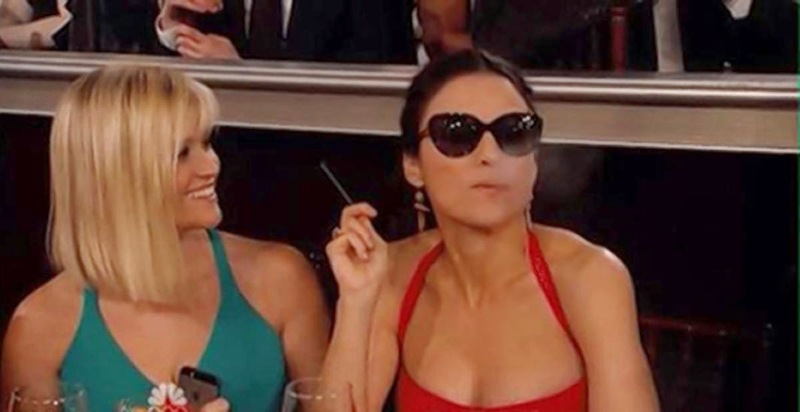 And Julia Louis-Dreyfus, who was nominated for her roles in the HBO series "Veep" and film "Enough Said" gets two thumbs up in my book for vaping at the Golden Globes. Any celebrity who sends a vapor signal instead of spewing deadly secondhand-smoke gets my vote.